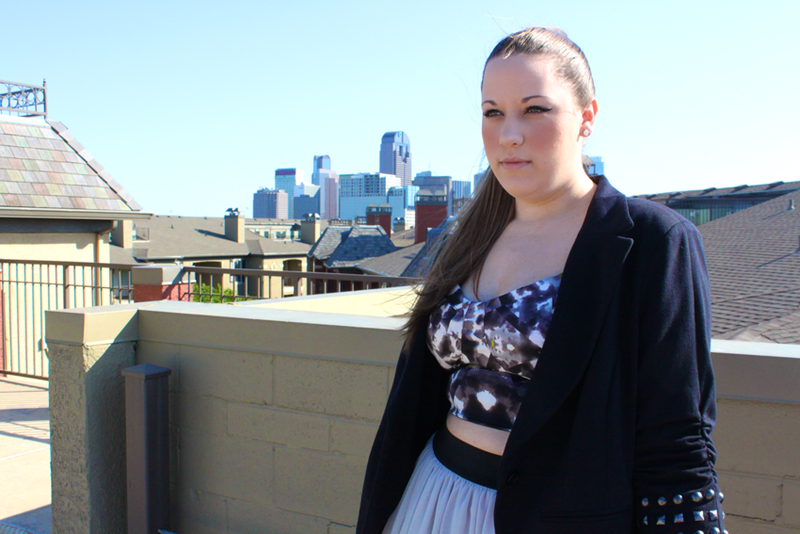 Is wearing a crop top to and interview wrong? ...OOPS. Consider me crop top obsessed. After growing up in the time of Dirty Pop and having been bombarded by images of celebrity bellies, I was a little less than thrilled to see this trend come back. Really?! Belly shirts? I AM NOT BRITNEY SPEARS THIS WILL NOT WORK. But when I found this amaaaazing crop top at Target, it called my name and true love was born. This item if perfect to zazz up any outfit and add an alternative spin. Showing your belly is done, so be sure to pair these tops with high wasted items, and throw on a jacket or denim vest for a more "put-together" look. Now if your going to interview in a business office or as a kindergarten teacher... I wouldn't suggest this. But business attire has drastically changed in the past 5 years. What you wear should not only be tailored to your career goals, but should be a personal reflection of yourself. Add some color, throw on a statement piece, and sashay into your future. Walking into an interview for a job in a creative field, in a plain suit, doesn't cut it anymore. So go boldly, or don't go at all. So gorgeous!! I'll have to get law firm fashion advice from you the next time I see you! :) My clothes are pretty boring!